The stronghold of Kölsch cuisine (Gault Millau) - delicious specialities from Germany and its regions. Here you will find traditional and new dishes carefully prepared. Enjoy creative, regional cuisine in a relaxed brasserie atmosphere. Classics such as Wiener schnitzel, veal shank, or a Cologne "tapas menu" with 12 delicious highlights. On Sundays we spoil our guests with our new "HÖHNS BRUNCH" You are looking for - we prepare and serve! In our separate lounge bar you can enjoy a delicious Kölsch, a selected wine or digestive. 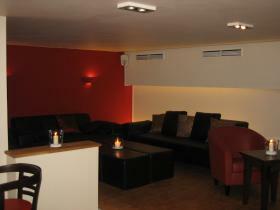 Our lounge bar is also ideal for parties of 20 or more people. 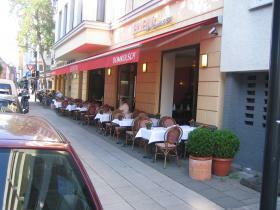 Our large summer terrace is open until mid-October - a piece of Paris in the middle of Cologne. We also cook for you at your home and arrange your party with everything that goes with it. We will gladly make you an individual offer. 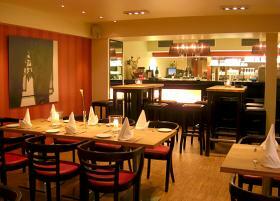 A table reservation or the booking of a menu/ offer is in the "HÖHNs " via GlobalGuest always for free you as a guest!